This W:O:A Girlie Longsleeve is not only beautifully plain, it is also utterly fashionable. 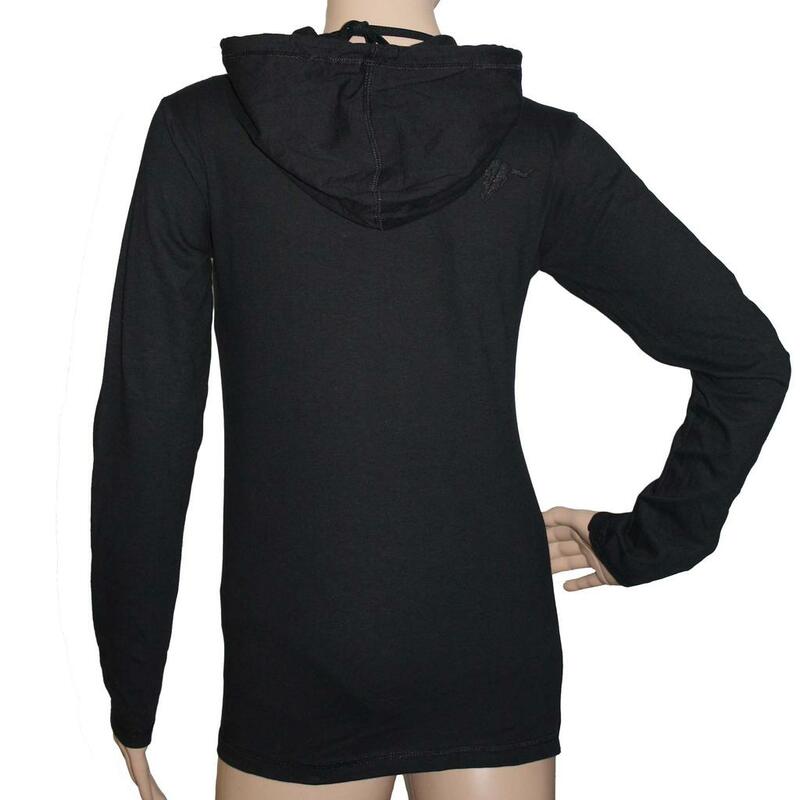 The black long-sleeved shirt made of 100% cotton is equipped with a hood and for a perfect fit it is cut long. 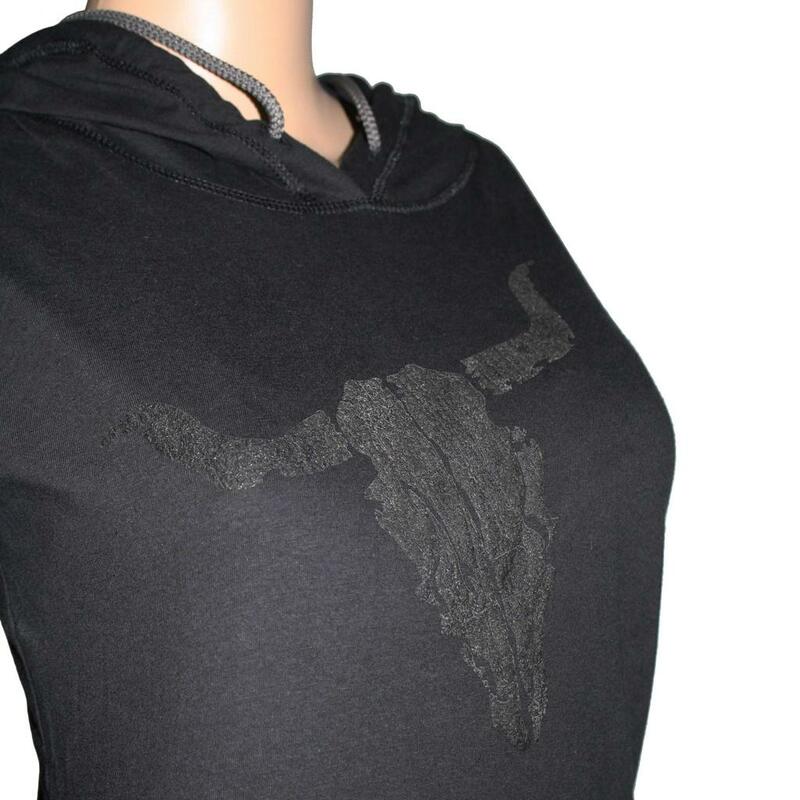 To create a special look, a contrasting color is used for the cord and the famous bullhead decorates the front and the back side as a 3D print.